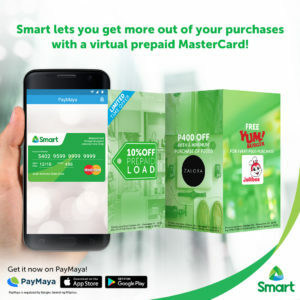 Smart subscribers are in for a whole lot of treats this holiday season with exclusive prepaid load and online shopping discounts through PayMaya, the country’s leading digital payments mobile app that allows users to get an instant virtual prepaid Smart MasterCard that they can use for digital purchases. “With a vast majority of ‘uncarded’ Filipinos, many are still unable to experience the life-changing benefits that digital services offer today. With the Smart & PayMaya partnership, we aim to once again help our customers break barriers and experience new ways of transacting and engaging,” said Katrina Luna Abelarde, Wireless Consumer Operations Head at Smart. 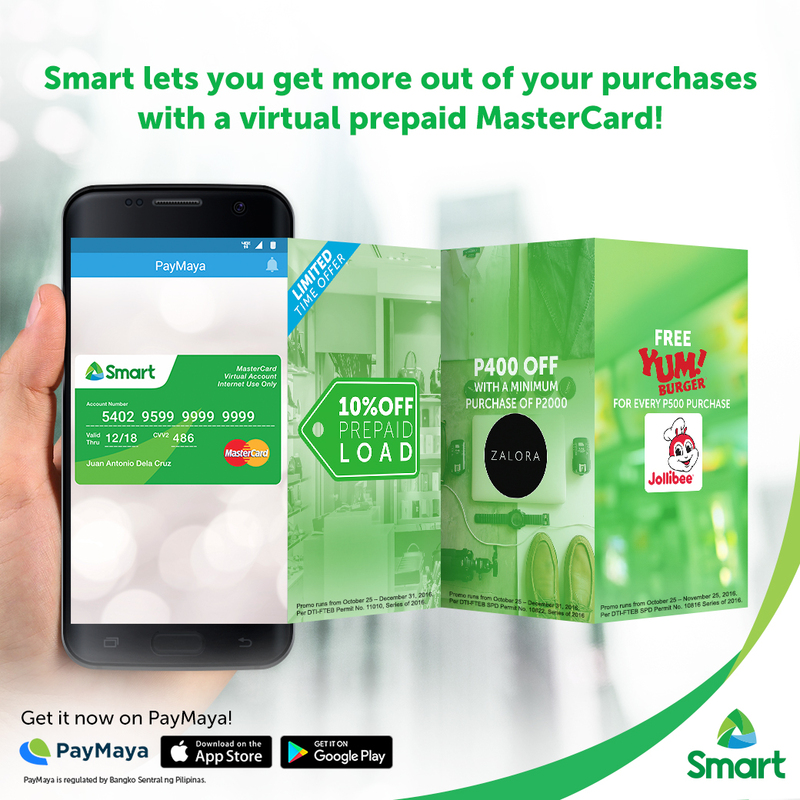 “We are happy to join forces with Smart, the leader in mobile, so their subscribers can get more out of their purchases through the virtual prepaid Smart MasterCard. With Smart’s reach and ‘nationwidest’ presence, we can all, in turn, help bring the many benefits of digital payments to more Filipinos,” said Kenneth Palacios, Director and Vice President for International Platforms at PayMaya Philippines. • Transact online and use digital services. With the instantly-generated 16-digit card number in their virtual MasterCard, users will be able to do online shopping and subscribe to their favorite digital services that require a credit, debit, or prepaid card as a payment option. • Get discounts on prepaid load packages. Users will be able to purchase prepaid credits and enjoy up to 10% discounts to load their own Smart prepaid numbers or send as gifts to family and friends. • Pay bills. Through the app, users will be able to pay their Smart, Sun, PLDT, Maynilad, Cignal, Meralco, and a host of other bills using credits they have loaded to their PayMaya account. Users can load up their PayMaya accounts in any of the over 15,000 touchpoints nationwide, which include Smart Stores, SM Malls Business Centers, Robinson’s Department Stores, UnionBank ATMs, 7-Eleven stores with Cliqq Kiosks, TouchPay Kiosks, and Smart Padala Centers, on top of online banking via BDO and UnionBank. Recently awarded as the world’s best online payments solution at the Emerging Payments Awards in London, PayMaya has been leading the charge in enabling instant access to the digital economy through its game-changing payments service.